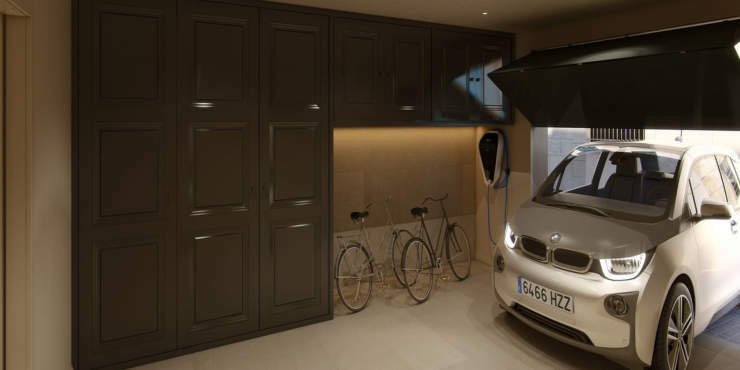 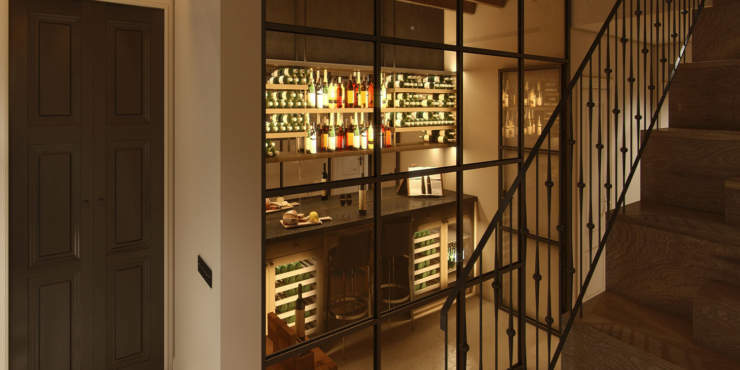 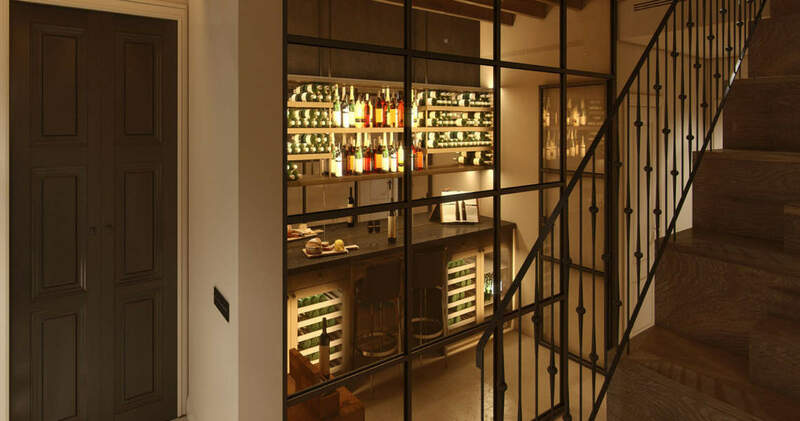 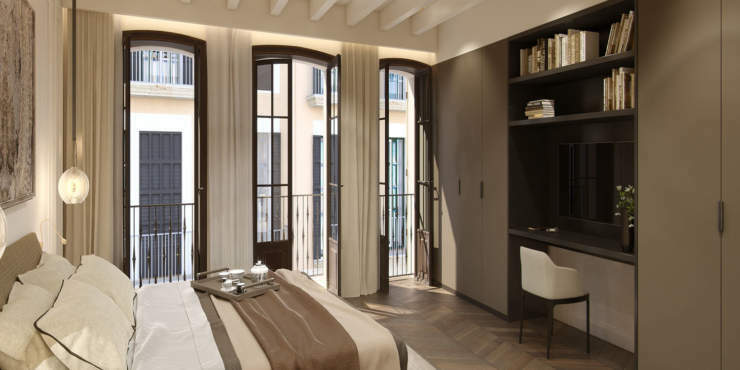 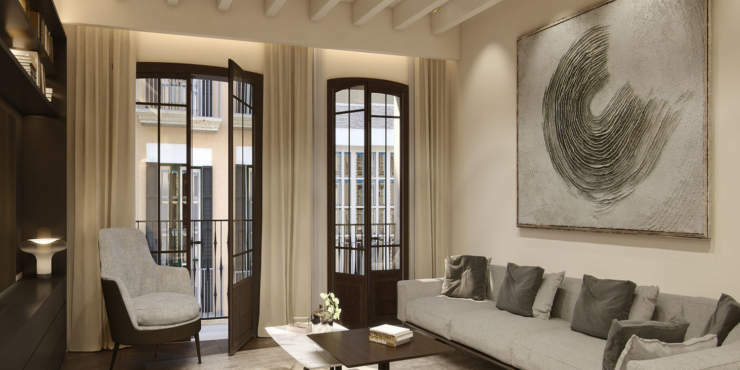 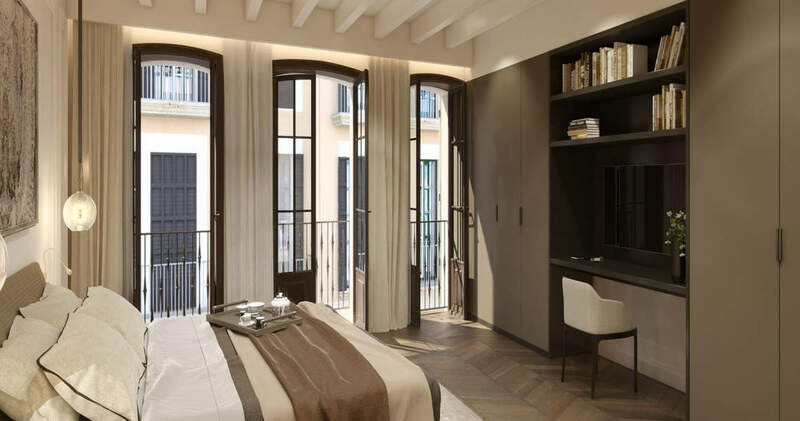 This modern, three-storey townhouse is part of a new construction project in the old town of Palma, with all the amenities of urban life within easy walking distance: cafés and restaurants, to exclusive fashion boutiques, art galleries and historic landmarks such as Palma’s imposing cathedral La Seu. 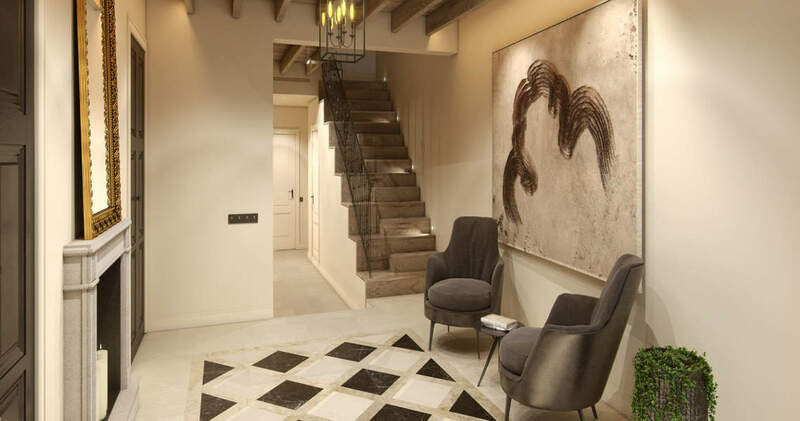 The ground floor with garage comprises a spacious entrance area, a lift, a wine bar, a laundry room, a storage room and an elegant staircase leading to the higher floors, where Juliet balconies and floor-to-ceiling windows provide plenty of natural light. 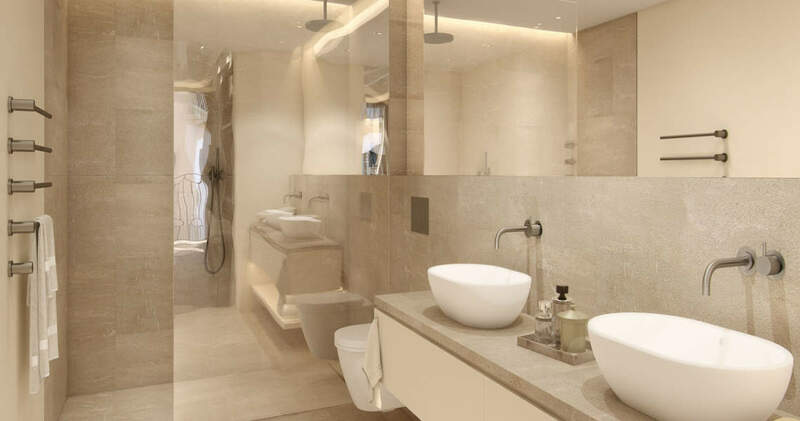 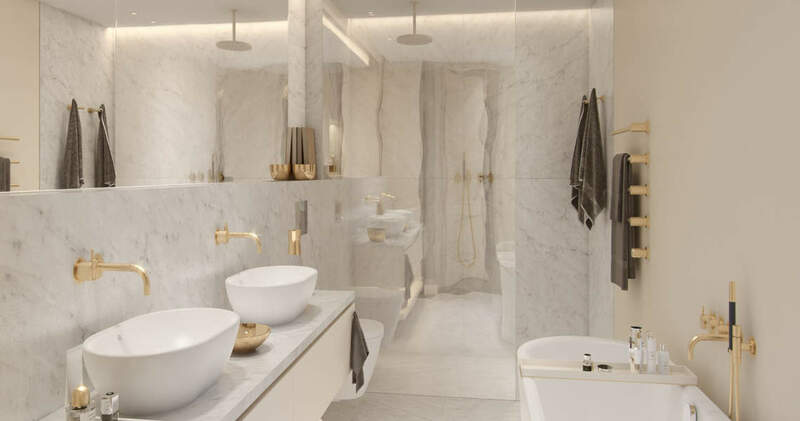 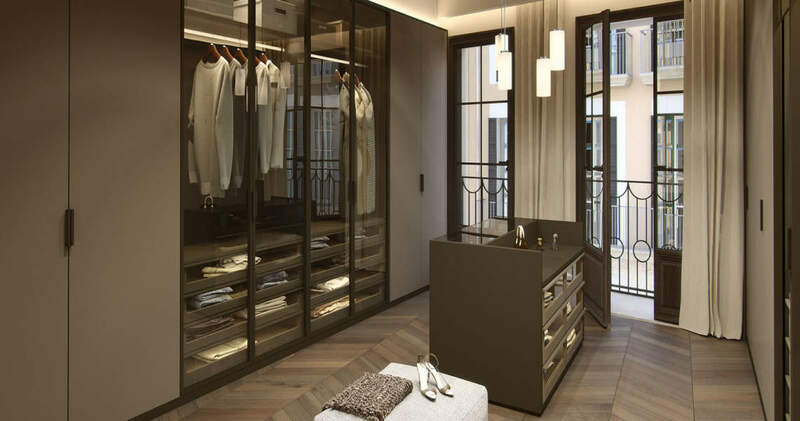 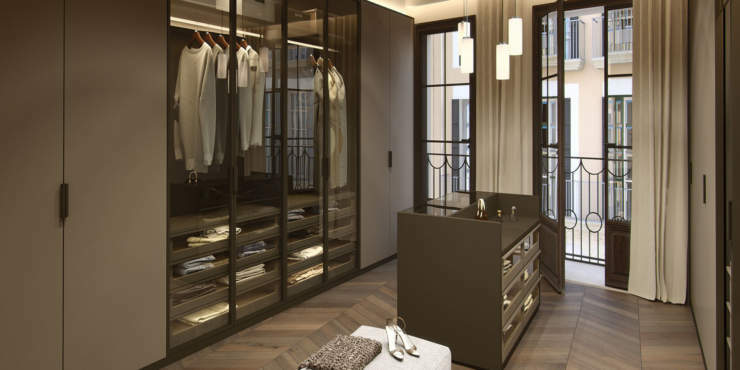 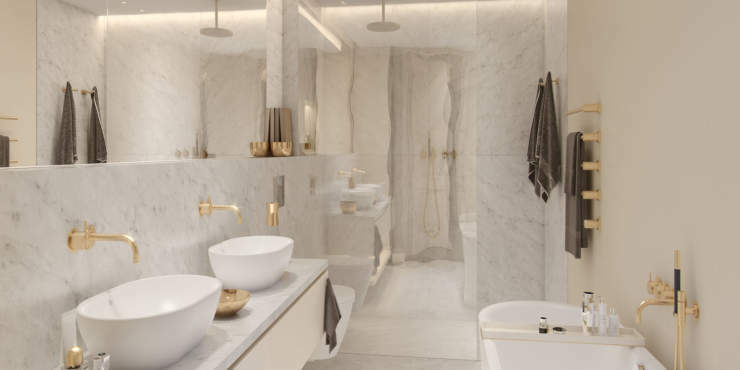 On the first floor and second floors are two en suite bedrooms and the master bedroom with bathroom with an adjacent room that makes the ultimate walk-in wardrobe. Alternatively, this room could be made into a fourth bedroom with an optional en suite bathroom. 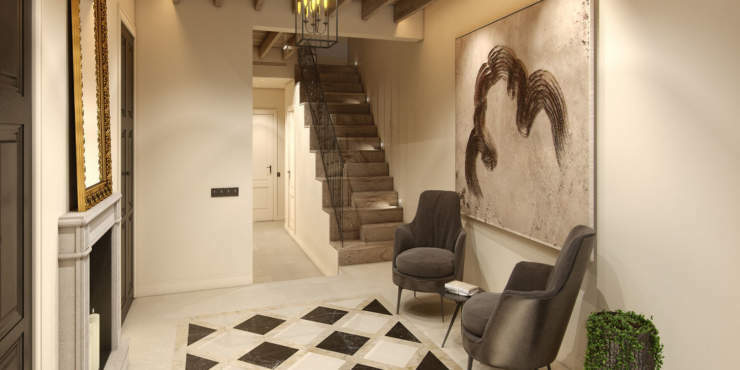 The third floor features a living/dining room with open plan kitchen and access to a large terrace as well as a guest toilet. 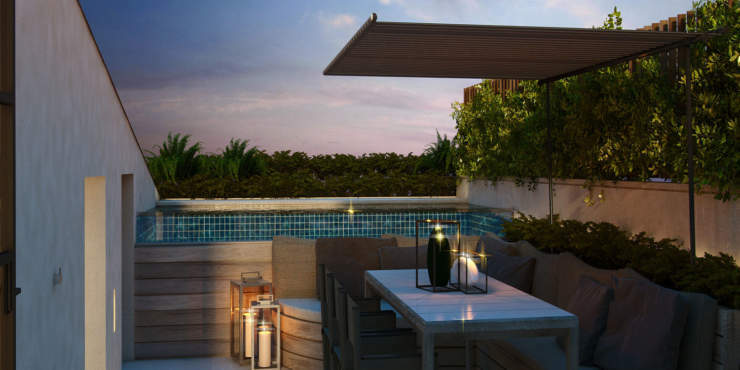 The quiet roof terrace provides a private open-air oasis with pool and summer kitchen, ideal for entertaining family and friends. 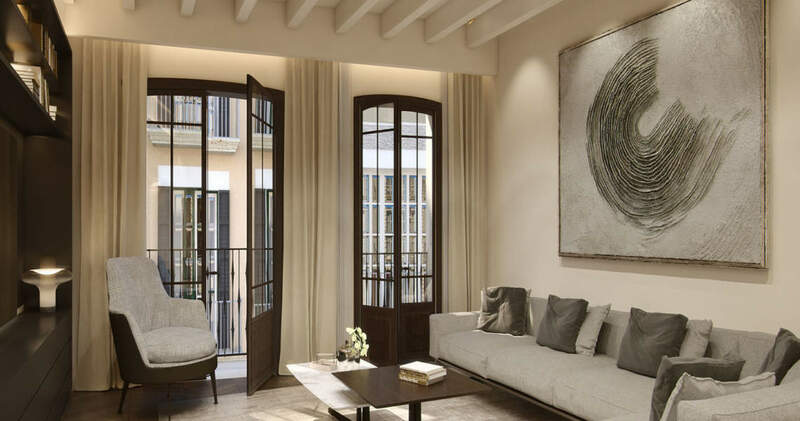 With high-quality equipment, timeless design and traditional architectural elements such as exposed beam ceilings and Mallorcan wooden shutters, this comfortable and exclusive property offers the ideal Mediterranean retreat in the heart of the city.